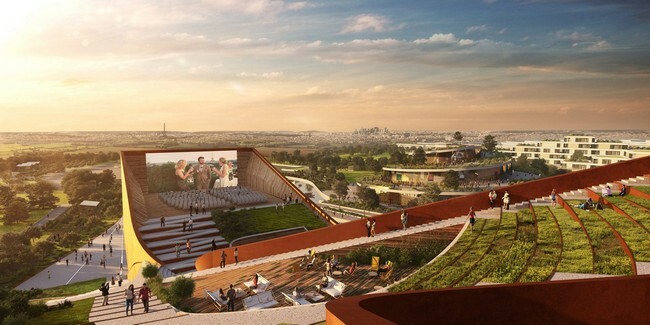 A competition was established to decide who would be responsible for the design of EuropaCity’s centre culturel located on the outskirts of Paris. 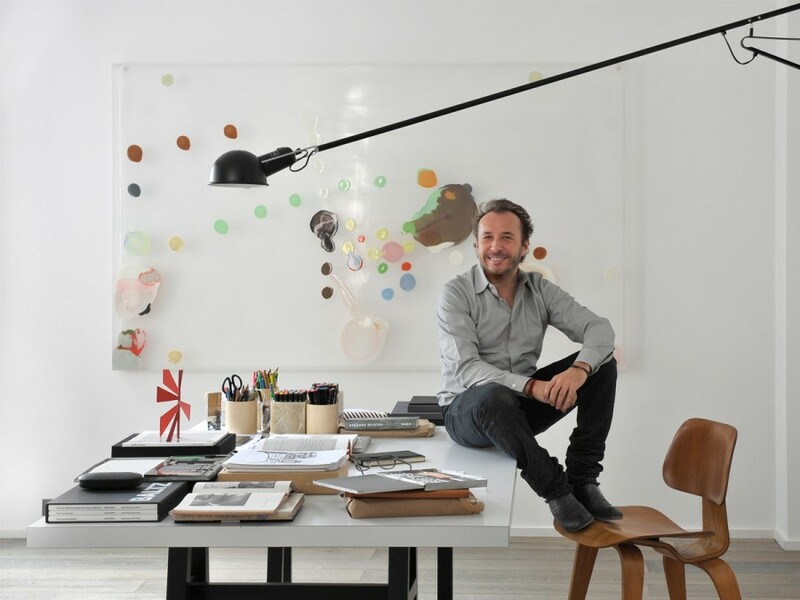 The big winner was no other than the proficient Dutch architectural practice, UNStudio. The center dedicated to the 7th art of the world will be highlighting three intertwined volumes of weathering steel. It will be comprised of a cinema and a “cultural laboratory” with both indoor and outdoor screens. EuropaCity is a French planned developed worth £2.74 billion. It has been master planned by Danish practice BIG and is scheduled to open in 2024, the same year that the city will host the Olympic Games. The competition involved a series of firms which were ask to introduce eight key buildings for the business and tourism district, including hotels, a concert hall, an exhibition hall, and others. 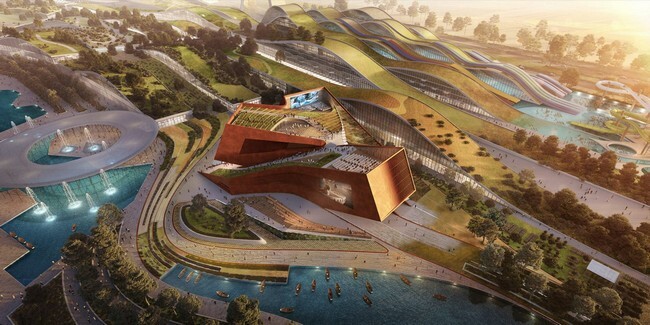 The internationally acclaimed architectural firm, Bjarke Ingels Group had a central concept of rolling hills for EuropaCity. Consequently, UNStudio answered to this requested by introducing designs for sloping rooftop terraces carpeted in greenery that offer majestic views of Paris. The astonishing terraces will feature large screens, restaurants and cafes, turning this particular venue a must-visit public destination. 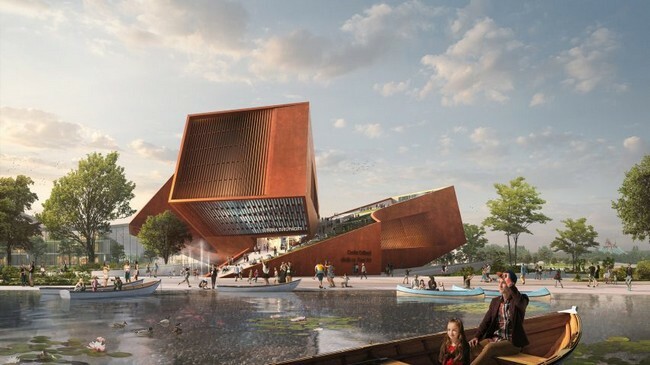 “For the design of the Centre Culturel we were inspired by the ‘Cinéma en plein air’ culture, and we wanted to celebrate the art of film-making,” said UNStudio founder Ben van Berkel. As a whole, the studio’s main purpose was to create a space where one could both produce and enjoy the film process as a unique experience. In order to evoke large-scale landscape sculptures, multiple facades of pre-weathered steel were added. 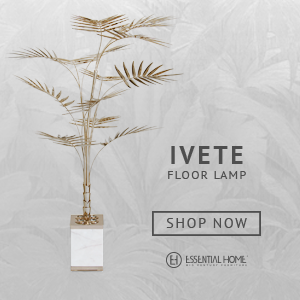 This material favors outdoor installations due to its resilience and aesthetic nature. 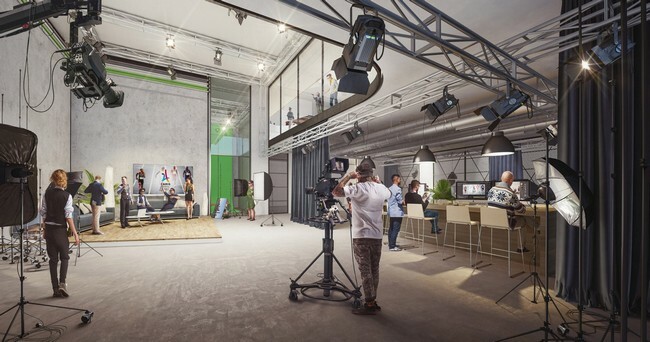 Besides providing the outdoor cinema experience at the Centre Culturel, the proficient studio will also facilitate a more a more traditional black box-style cinema for indoor screenings. 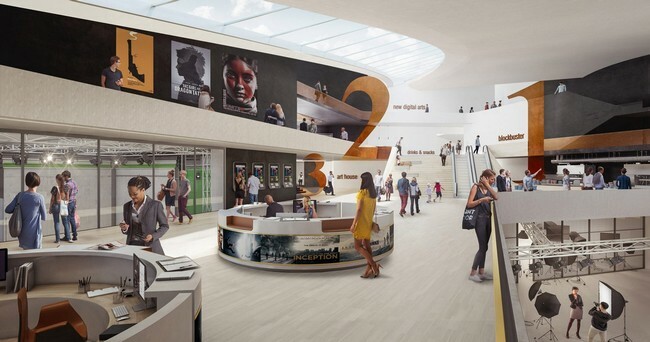 The blocks that contain the cinema halls will actually be organized by genre of films while the intersecting spaces will give visitors the opportunity to see the movie-making process. The carved and tilted angles of the volumes were also calculated to ensure the roof decks caught the maximum amount of sunlight and the minimum amount of wind. “Cinemas are the perfect example of concealed architecture. The cinema is the one type of building that becomes invisible once you step inside it. You spend up to two hours in a darkened room, immersed in the alternative space and time of the imagination…and then you leave. This limited user experience of the cinema as a venue led to the key concept that drove our design: the desire to create a building that in its totality offers a much more extensive experience of cinema.” – Ben van Berkel.